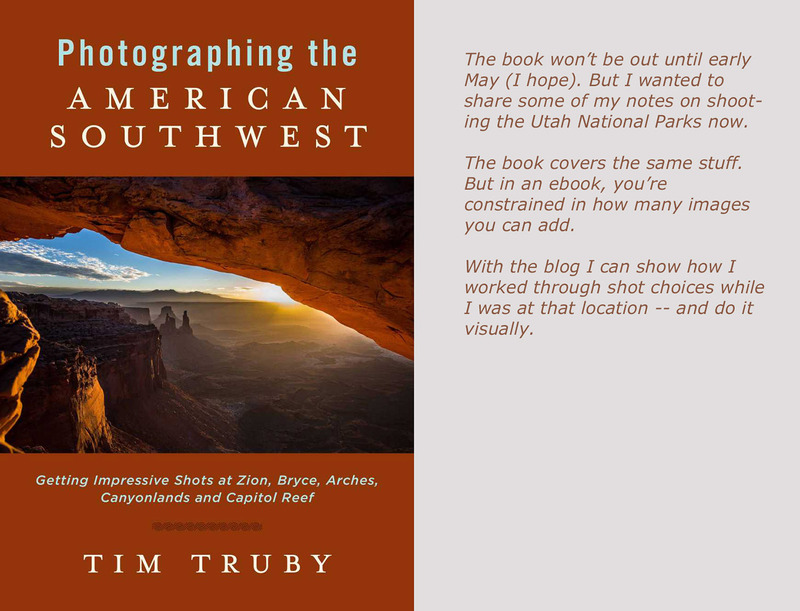 The new travel/landscape photo book I’m doing is focused on getting 6 or 8 of the classic shots in each of the Utah National Parks: Zion, Bryce, Arches, Canyonlands, and Capitol Reef. That meant that many of the lovely photo locations couldn’t be included. 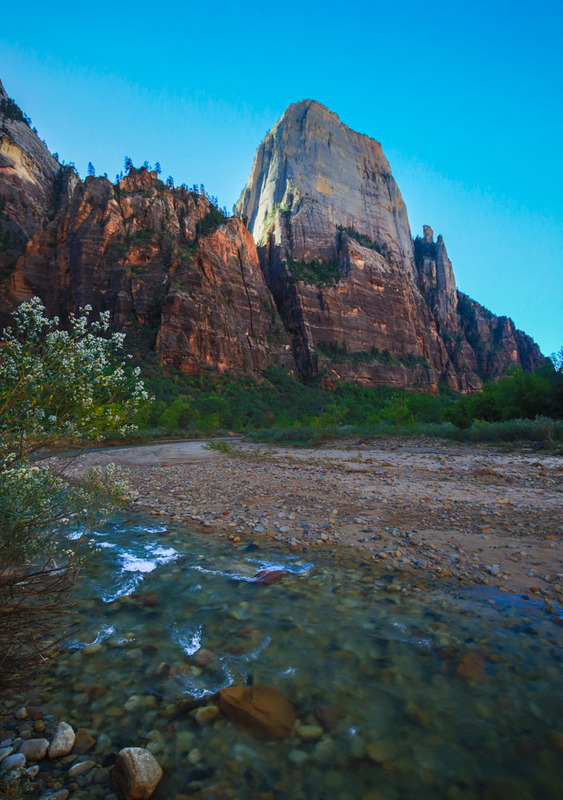 Zion in particular has a number of locations that are a bit off the beaten path. Here are a few. Just west of the Big Bend bus stop is a grassy field between the river and the road. This shot (above) looks south towards the Weeping Rock area. The trail up to Observation Point and Hidden Canyon starts off up that mountain just left of center. 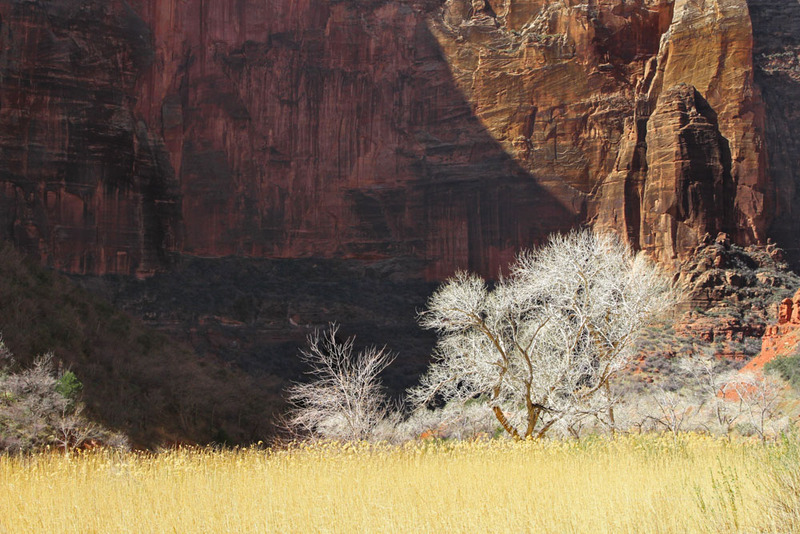 Same area (below) but looking south west towards the Angels Landing area. 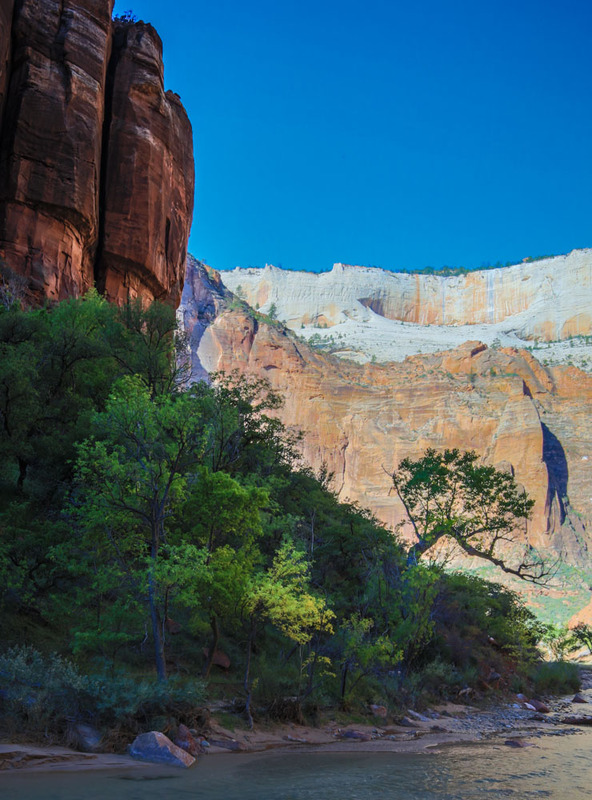 There’s also a fun hike that starts off at the Weeping Rock bus stop. 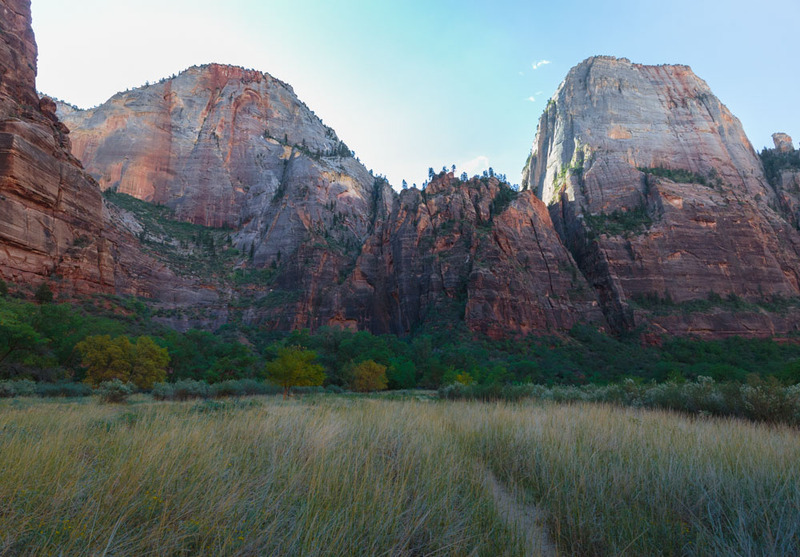 You start off on the trail towards Observation Point but part way up that first set of zig-zags, take a right and follow signs for Hidden Canyon. It has a bit of vertical elevation but is far easier than doing Observation Point. Shot from Hidden Canyon trail. Parts of this trail have an iron chain you can hold onto. 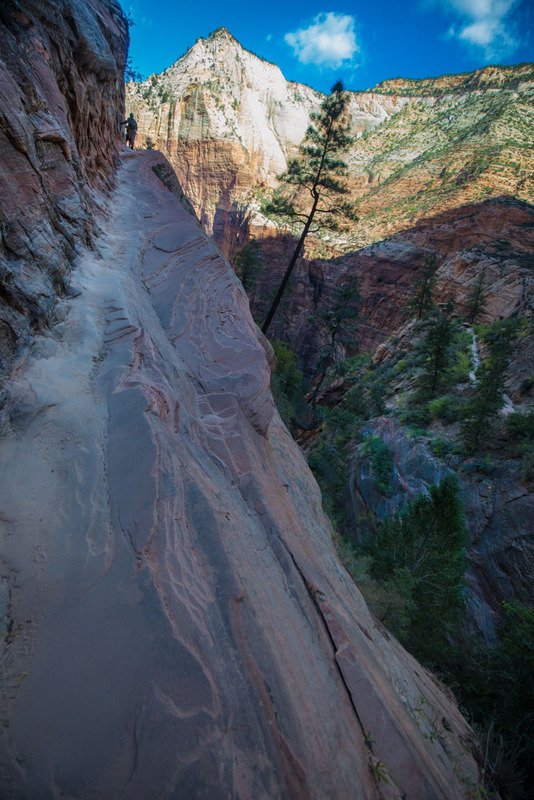 But its never a nose-bleed hike like the one to Angels Landing.